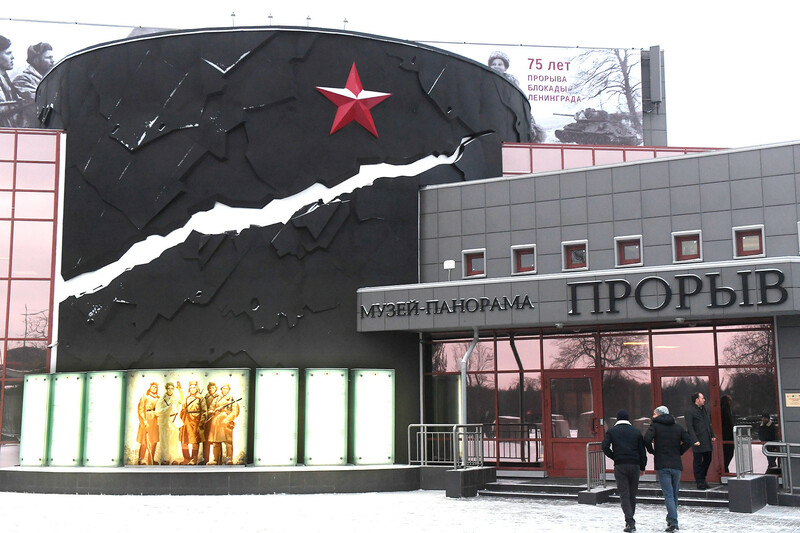 To mark the 75th anniversary of Red Army soldiers breaching the Siege of Leningrad, a new 3D panoramic museum has been opened close to St. Petersburg. 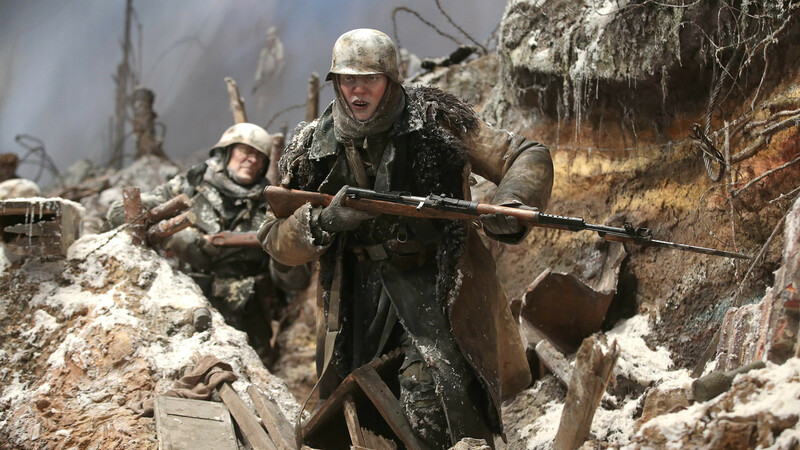 It reconstructs one day during Operation “Iskra” (“Spark”) when Soviet troops managed to carve a corridor in the Nazi’s defenses around Leningrad – for the first time in 1.5 years. The Siege of Leningrad lasted a grueling 900 days and cost the USSR 1.5 million lives. From the very beginning (autumn of 1941), Soviet troops worked tirelessly to breach the German lines around the city – it took them until January in 1943 to make a serious dent. 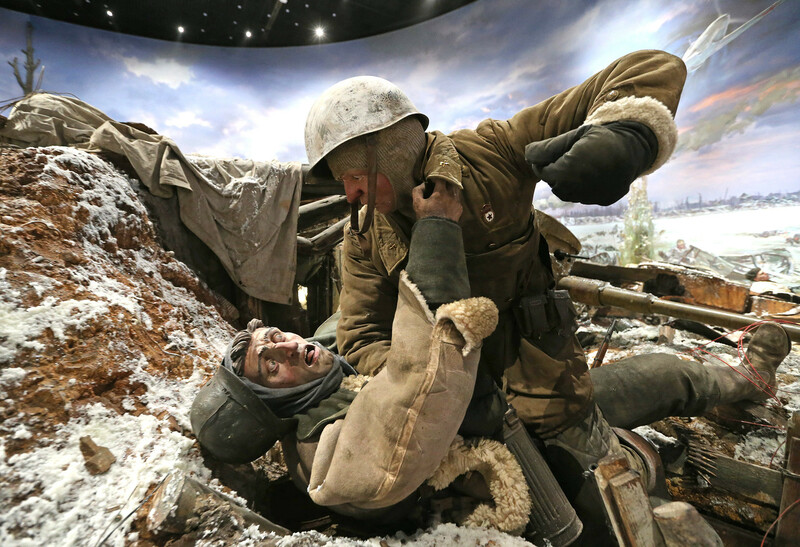 The 3D museum – called “The Break” – tells the story of the triumph as visitors are thrust into the shoes of the soldiers. The display occupies a massive 600 square meters, making it one of the biggest in the world. 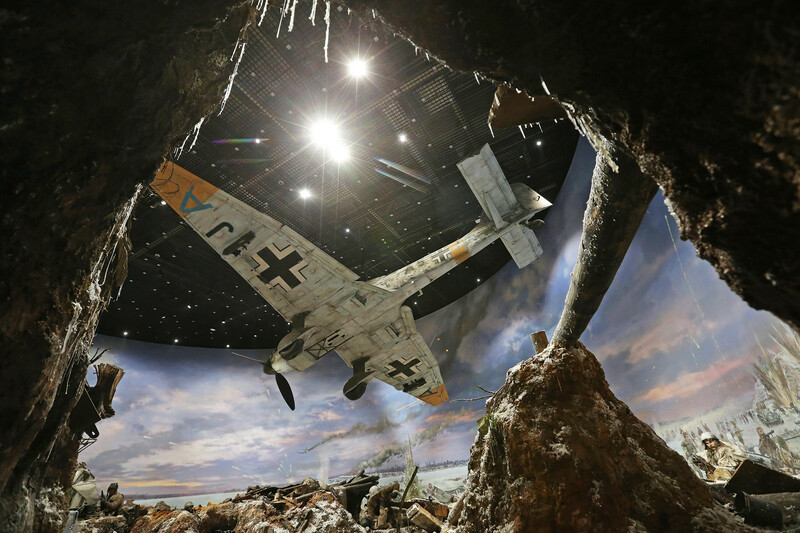 There are parts of two Soviet tanks, automatic rifles, grenades, shells, and even a scaled-down copy of a German plane hovering above visitors’ heads. There are also soldiers. These are not just manikins though: 12 of the 18 Red Army troops who attacked the German positions have been recreated, facial features and all. Some of the Soviet soldiers’ remains weren’t found until decades later by volunteers who searched the site. “They were 19 and 20-years-old. They stood up against danger and death. 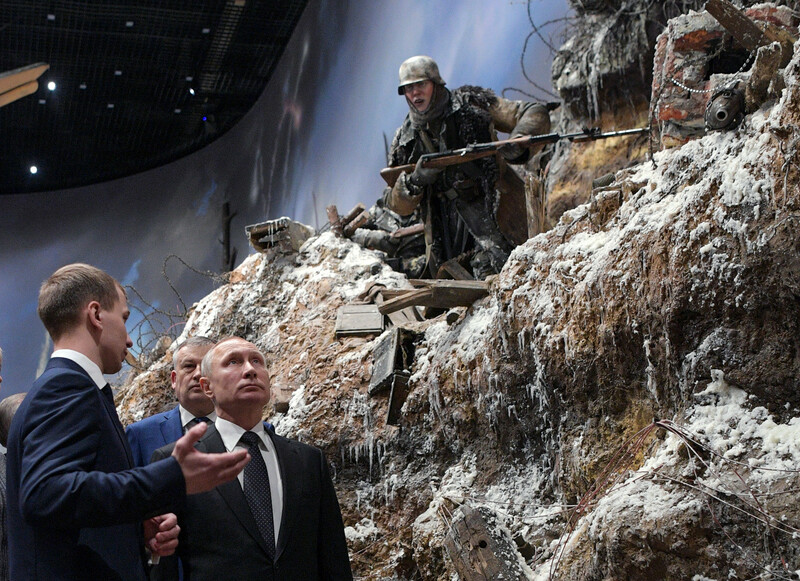 They were people of indescribable heroism!” Dmitry Poshtarenko, the museum’s curator and one of the volunteers who searched for Russian soldiers perished during WWII, said. 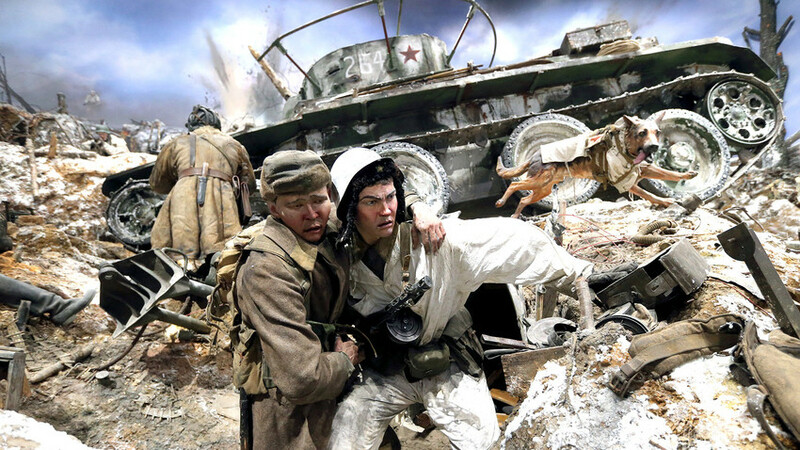 The attack reconstructed in the museum occurred on the second day of the Operation “Iskra,” and took place on the so-called Nevsky Pyatachok on Jan. 13, 1943. Nevsky Pyatachok (a pyatachok was a coin worth five kopecks) was a small bridgehead taken from the Nazis by Soviet troops on the left bank of the Neva River. The Red Army stormed it in September 1941 and held it until they breached the blockade, despite ferocious German bombardments. It was strategically important for the Red Army, as it was the only piece of land on that bank of the river from which an offensive could be launched, in a bid to connect the Soviet troops to the mainland. The Germans also knew this, so they went hammer tongs against the Soviets. 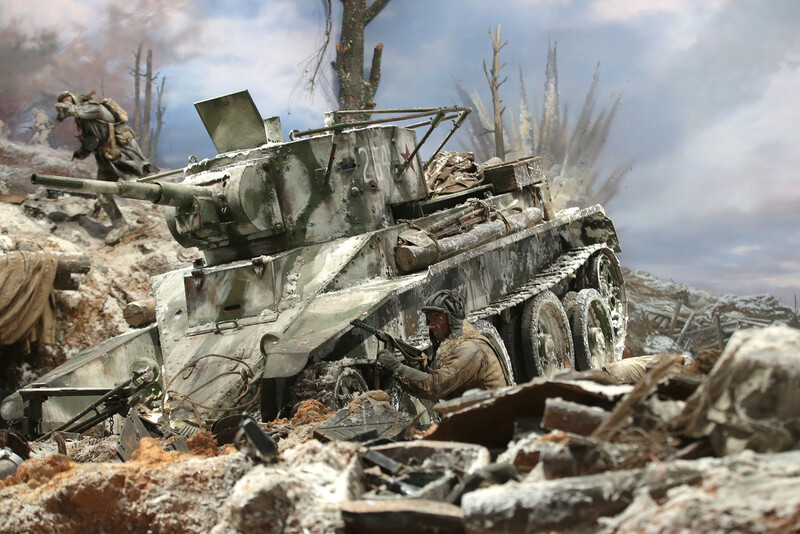 The area they were fighting over was small – just 1-4 kilometers in width and from 300 to 800 meters deep) – and was constantly shelled by the Germans. It was difficult to evacuate wounded soldiers across the river and bring necessary weapons and equipment. They say the Soviet regiments lost up to 95 percent of their initial staff during the conflict. It was also hard to bury people there. “When our company landed, all the trenches were filled with the bodies of dead people. They lay everywhere on Nevsky Pyatachok. The shelter where my comrades and I were stationed had a number of frozen dead bodies as a roof… All the territory was a cemetery of unburied soldiers and officers. … Not many people spent much time there. A day or two, a week max, and then inevitable injury or death, and you were replaced with new troops,” soldier Yury Poresh recalled (his recollections are in Russian). One of the soldiers who took part in the fighting on Nevsky Pyatachok was the father of President Vladimir Putin. 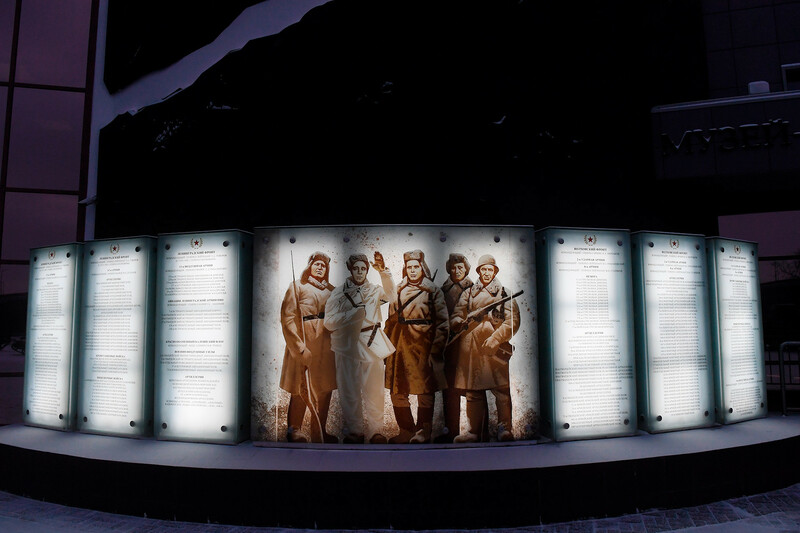 It was the president himself who suggested creating a permanent 3D panorama instead of temporary installations devoted to the conflict – his father was wounded and was lucky to return home alive. Putin described his father’s war ordeal in the article in 2015. Many soldiers lost their lives there. There are different estimates of the number of casualties on Nevsky Pyatachok, from 50,000 to 240,000. 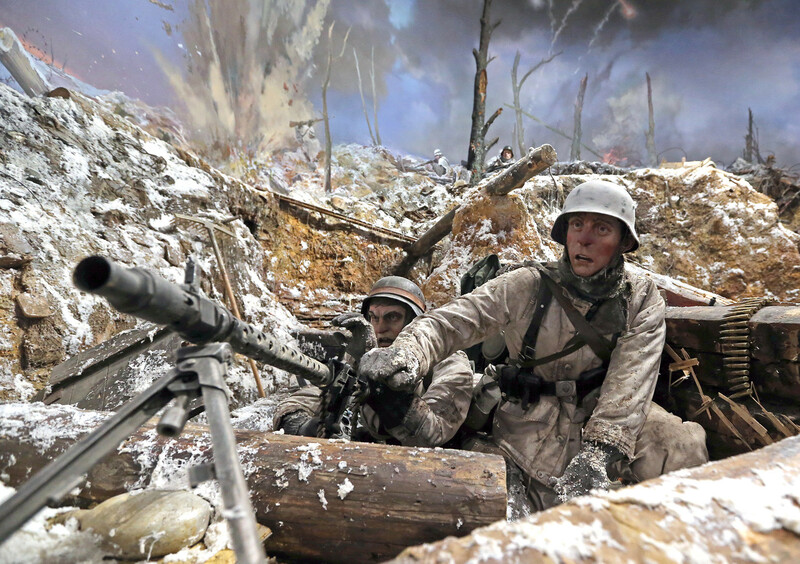 In those conditions, Soviet troops not only managed to resist the Germans but also repeatedly launched offensives in a bid to make contact with friendly forces stationed just seven km away. In April 1942, the Germans eventually captured this piece of land but in September that year the Red Army succeeded in reclaiming it. According to Poresh, capturing Nevsky Pyatachok was the only hope of breaking the Siege of Leningrad and saving the city’s residents from starvation. As a result many German regiments were sent to fight – and many were killed – so the victory was a vital turning point in the outcome of WWII. You can read more about the siege of Leningrad here.